Leviticus used to be the first book that Jewish children studied in the synagogue. In the modern church it tends to be the last part of the Bible that anyone looks at seriously. 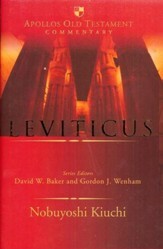 Because Leviticus is largely concerned with subjects that seem incomprehensible and irrelevant today , rituals for sacrifice and regulations concerning uncleanness, it appears to have nothing to say to twenty-first-century Christians.In this excellent commentary on Leviticus, Gordon Wenham takes with equal seriousness both the plain original meaning of the text and its abiding theological value. To aid in reconstructing the original meaning of the text, Wenham draws from studies of Old Testament ritual and sacrifice that compare and contrast biblical customs with the practices of other Near Eastern cultures. 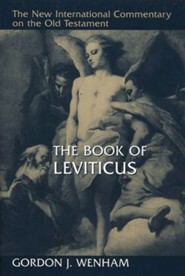 He also closely examines the work of social anthropologists and expertly utilizes the methods of literary criticism to bring out the biblical author'sspecial interests.In pursuit of his second aim, to illumine the enduring theological value of Leviticus, Wenham discusses at the end of each section how the Old Testament passages relate to the New Testament and to contemporary Christianity. In doing so, he not only shows how pervasive Levitical ideas are in the New Testament but also highlights in very practical ways the enduring claim of God's call to holiness on the lives of Christians today. Leviticus used to be the first book that Jewish children studied in the synagogue. In the modern church it tends to be the last part of the Bible that anyone looks at seriously. Because Leviticus is largely concerned with subjects that seem incomprehensible and irrelevant today — rituals for sacrifice and regulations concerning uncleanness — it appears to have nothing to say to twenty-first-century Christians. In this excellent commentary on Leviticus, Gordon Wenham takes with equal seriousness both the plain original meaning of the text and its abiding theological value. To aid in reconstructing the original meaning of the text, Wenham draws from studies of Old Testament ritual and sacrifice that compare and contrast biblical customs with the practices of other Near Eastern cultures. He also closely examines the work of social anthropologists and expertly utilizes the methods of literary criticism to bring out the biblical authors special interests. 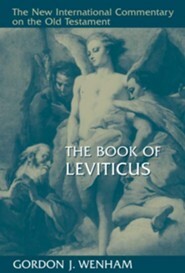 In pursuit of his second aim, to illumine the enduring theological value of Leviticus, Wenham discusses at the end of each section how the Old Testament passages relate to the New Testament and to contemporary Christianity. In doing so, he not only shows how pervasive Levitical ideas are in the New Testament but also highlights in very practical ways the enduring claim of Gods call to holiness on the lives of Christians today. Gordon J. Wenham is lecturer in Old Testament at Trinity College, Bristol, and professor emeritus of Old Testament at the University of Gloucestershire. His other books include Story as Torah: Reading Old Testament Narrative Ethically and Exploring the Old Testament: A Guide to the Pentateuch. 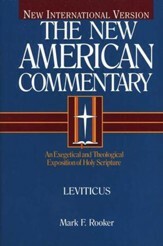 I'm the author/artist and I want to review The Book of Leviticus: New International Commentary on the Old Testament.